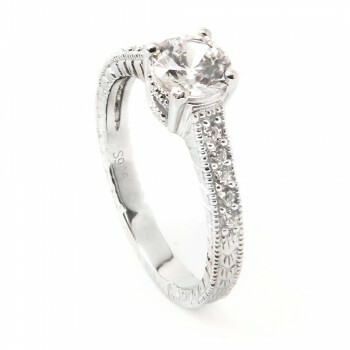 Sterling silver paired with cubic zirconia stones for engagement rings has been growing in popularity in recent years. 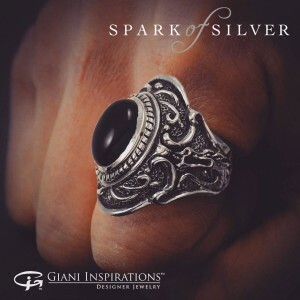 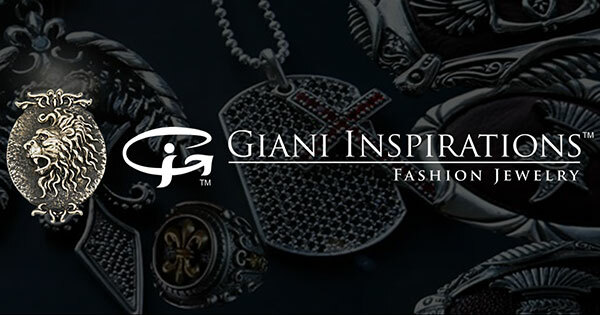 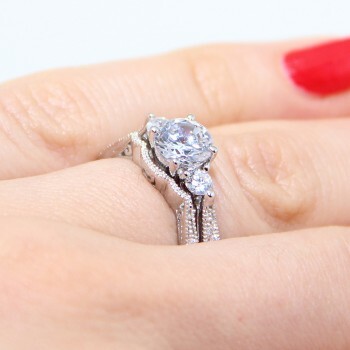 Whether you want to purchase a single sterling silver engagement ring or a bold sterling silver wedding ring set, there are thousands of options in the market to fit your personal taste and style. 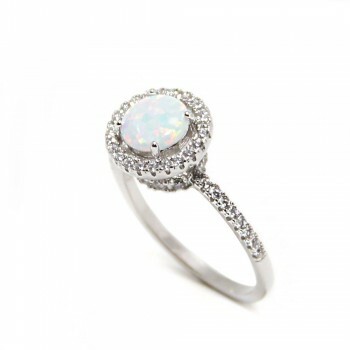 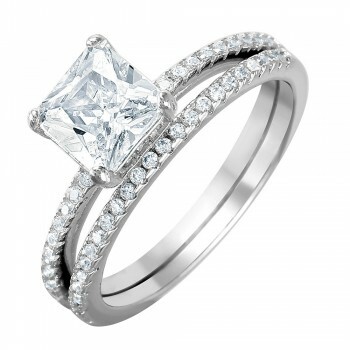 Single engagement rings are perfect for that classic, elegant look that focuses on the center stone. 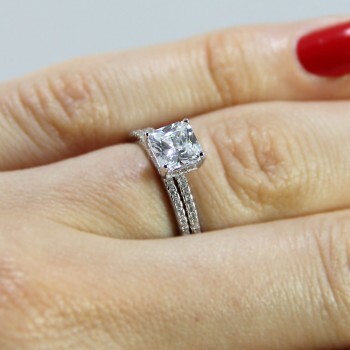 The cushion cut CZ diamond engagement ring is one of the most popular designs, with the center stone sitting on a thin band. 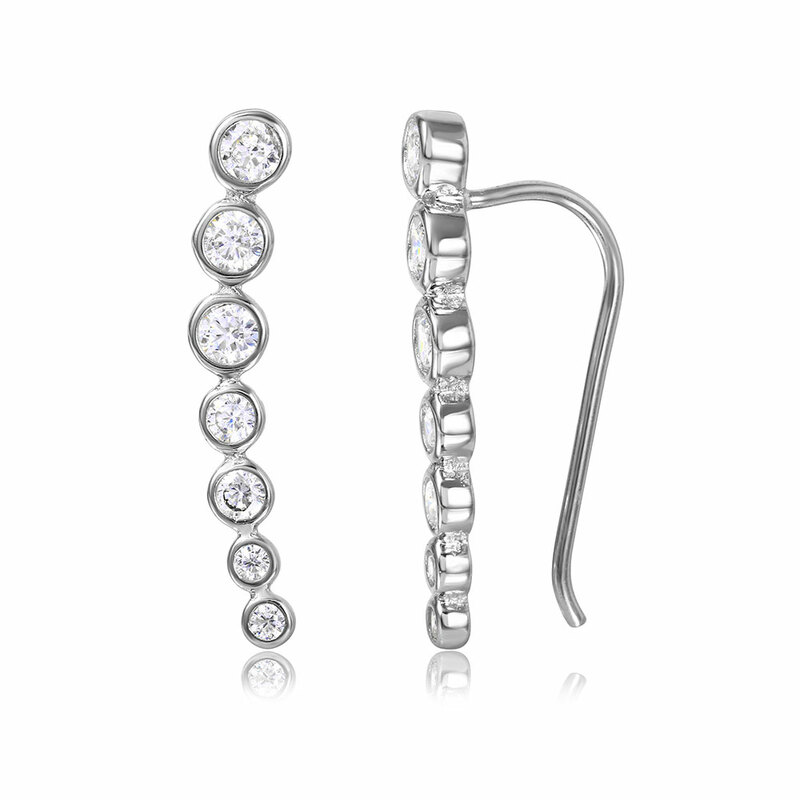 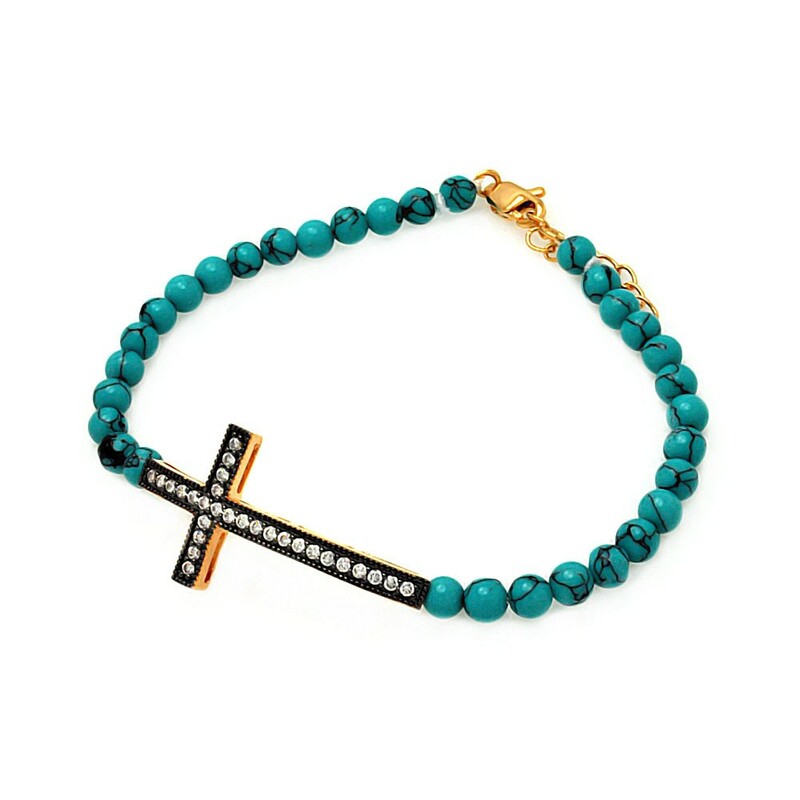 Choose a band with micro pave CZ stones set in sterling silver for tons of extra sparkle. 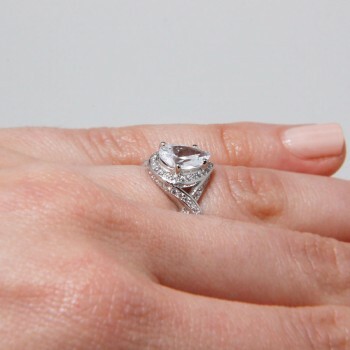 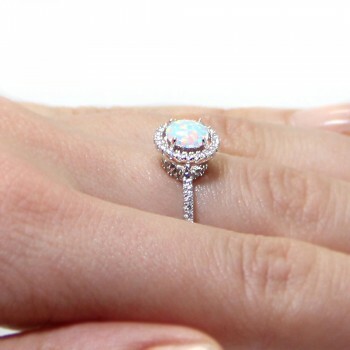 In this single stone CZ engagement ring style, the CZ stone will typically weigh between 2 and 5 carats. 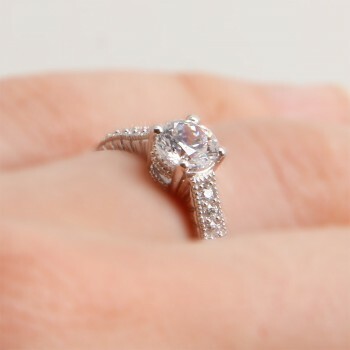 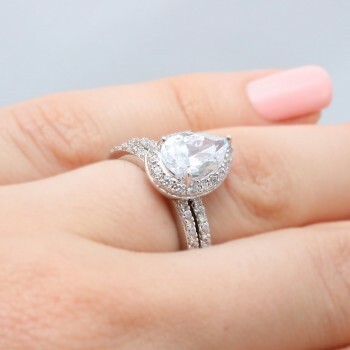 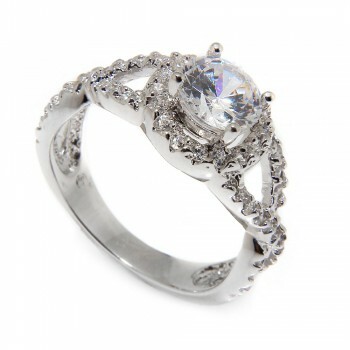 Another popular style among single sterling silver CZ engagement rings is the antique style engagement ring. 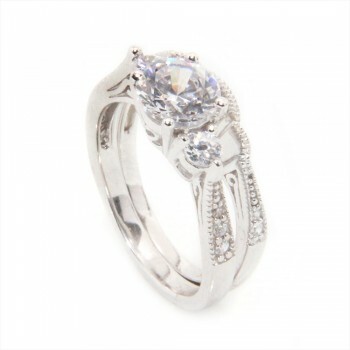 This vintage look features more intricate settings with smaller CZ stones surrounding the big stone. 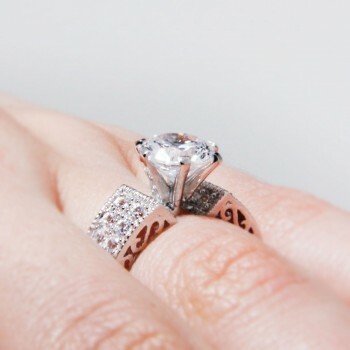 These antique style engagement rings may even have whimsical detailing, such as a scroll pattern etched in silver. 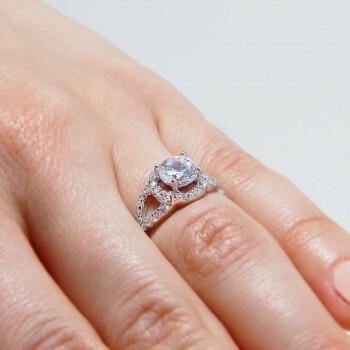 Antique CZ engagement rings are a unique option that can also be customized. 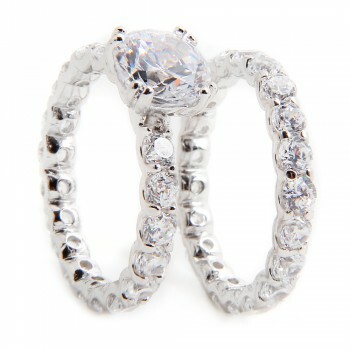 The stones on these CZ engagement rings can weigh between 2 and 4 carats. 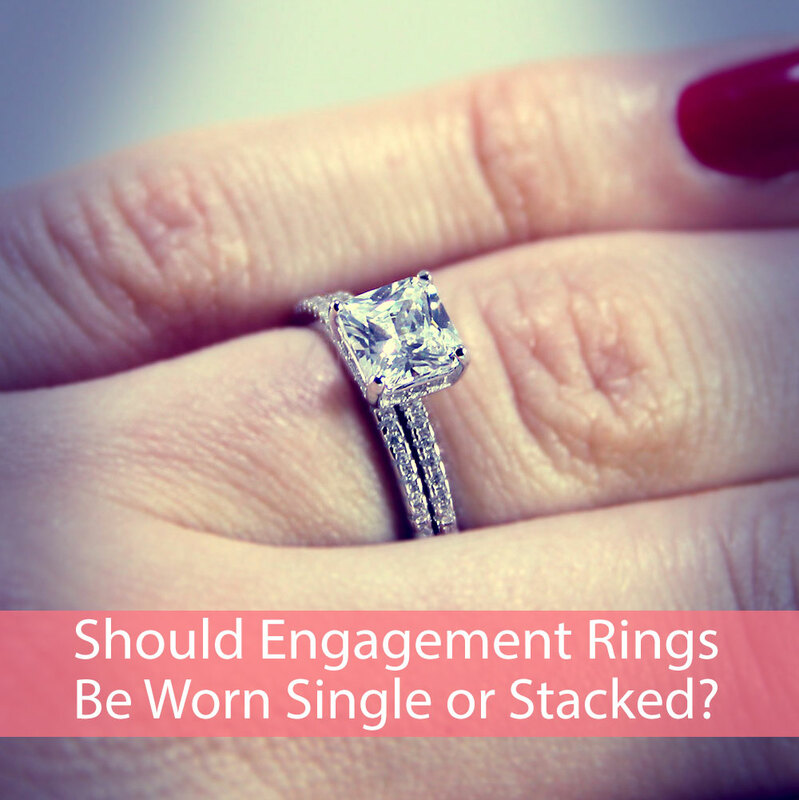 Another reason that sterling silver CZ engagement rings are popular is that they can be easily stacked at a fraction of the cost. 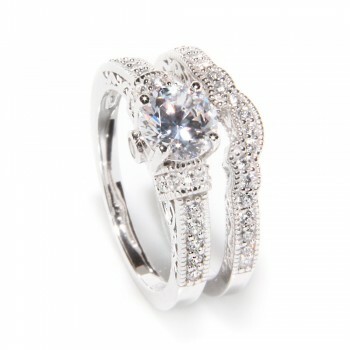 The engagement ring and wedding band can be a matching set of two rings that compliment each other. 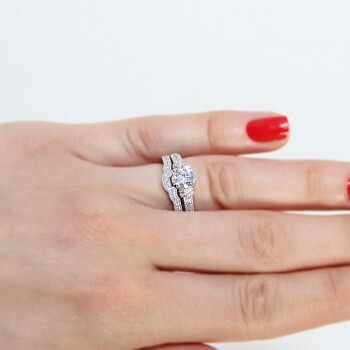 When both rings are worn together, the set looks cohesive and bold. 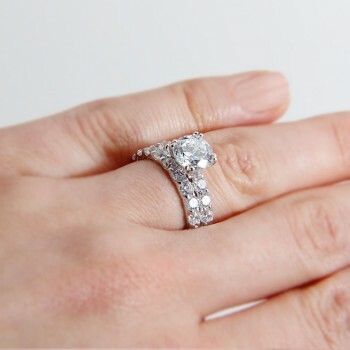 Some wedding bands even have dents to allow them to fit flush with the engagement ring stone. 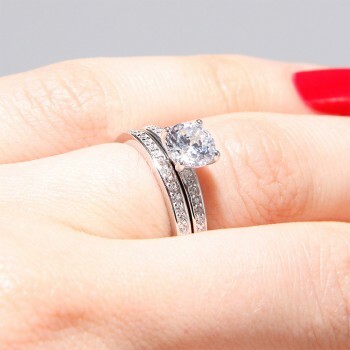 Both of the rings in stacked sterling silver CZ wedding sets look impeccable on their worn, giving you the option of wearing them together or separately. 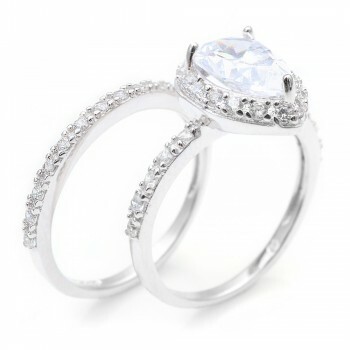 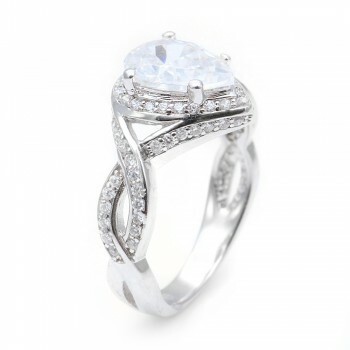 When looking for the perfect sterling silver CZ engagement ring, it is important to look for high quality silver. 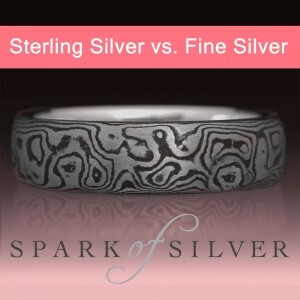 Silver that is stamped with “.925 sterling silver” will indicate that the silver is pure. 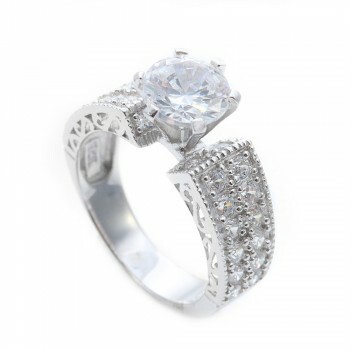 Another feature you should look for is rhodium plating or rhodium electroplating. 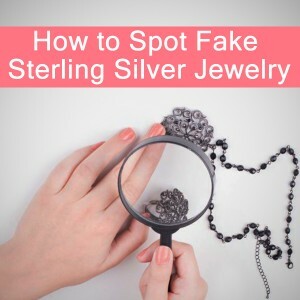 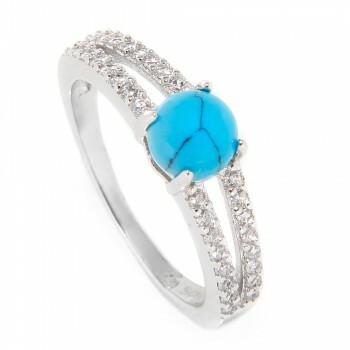 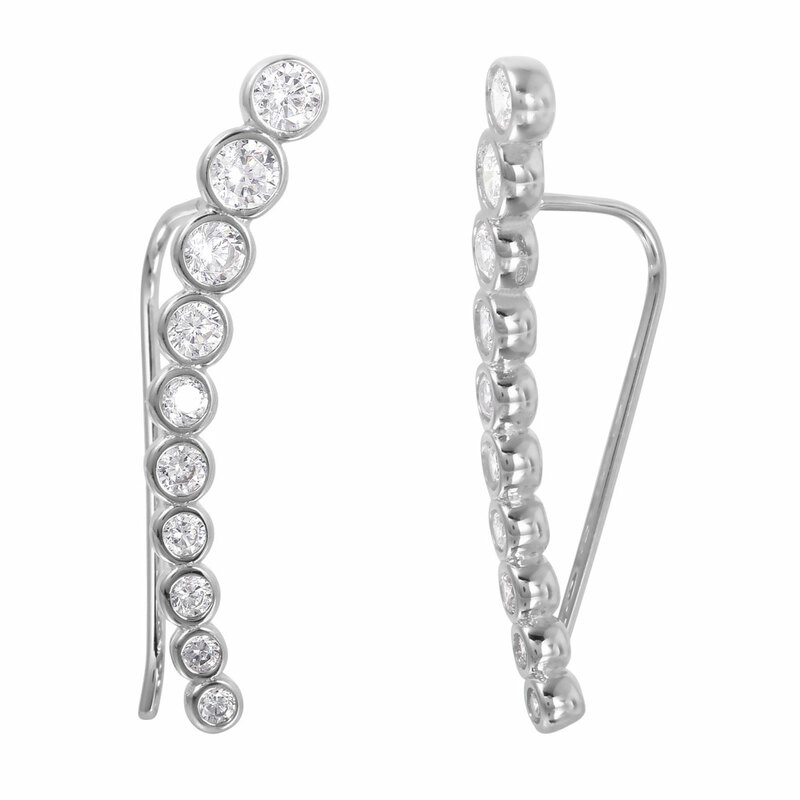 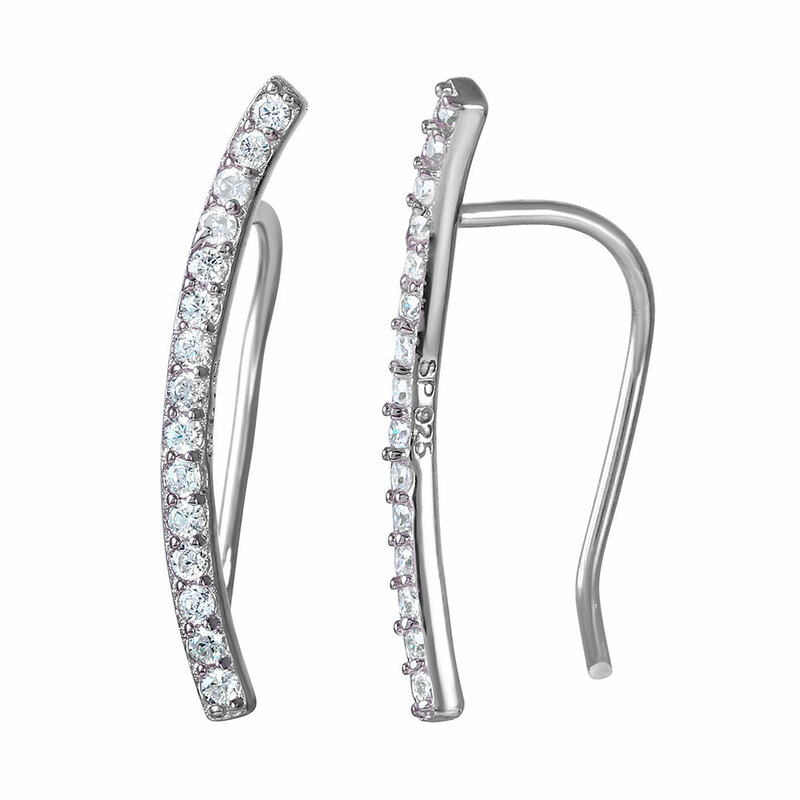 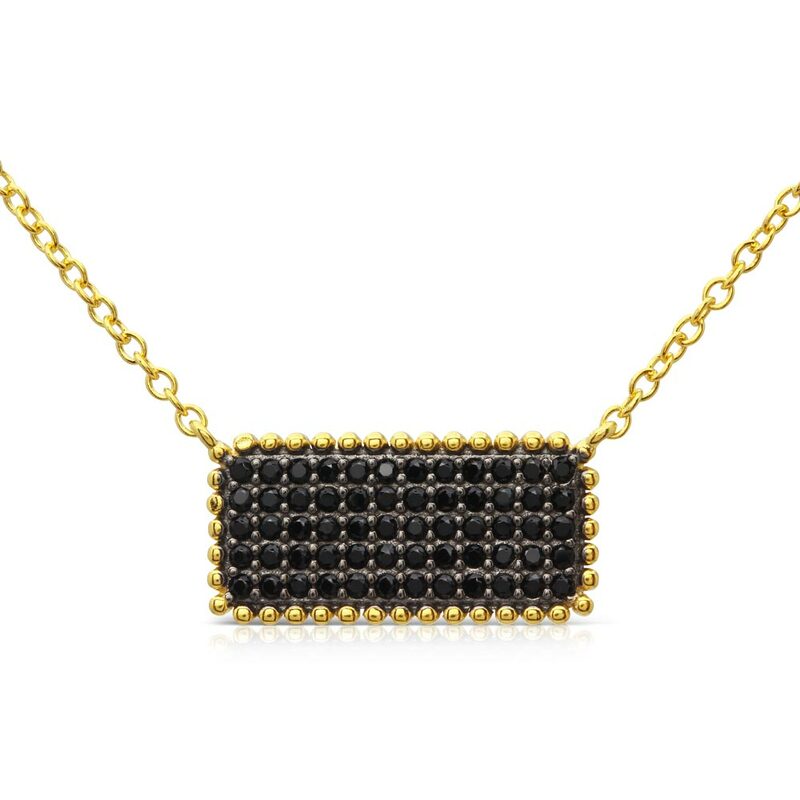 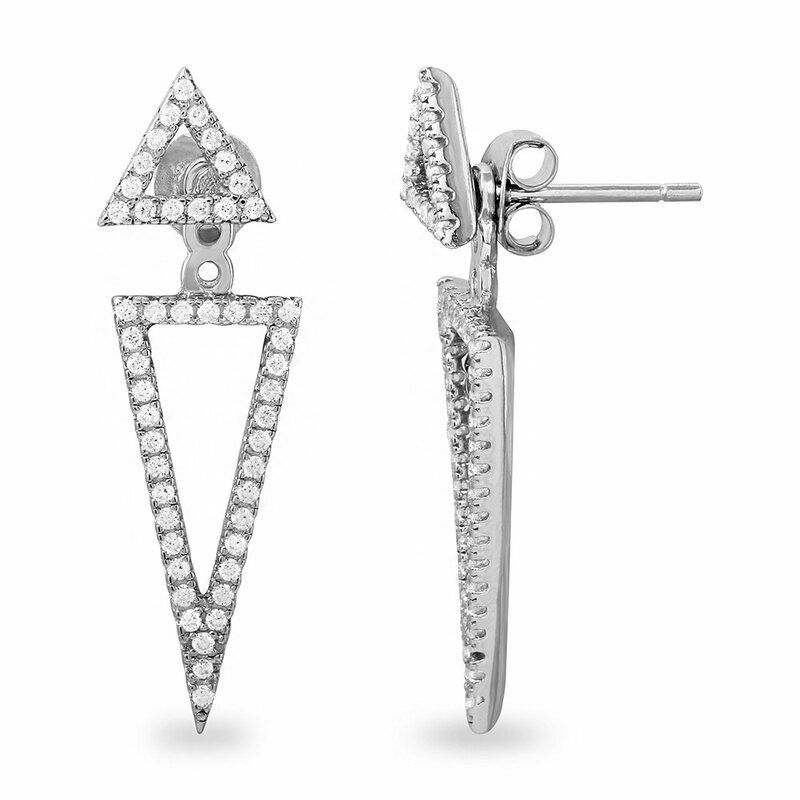 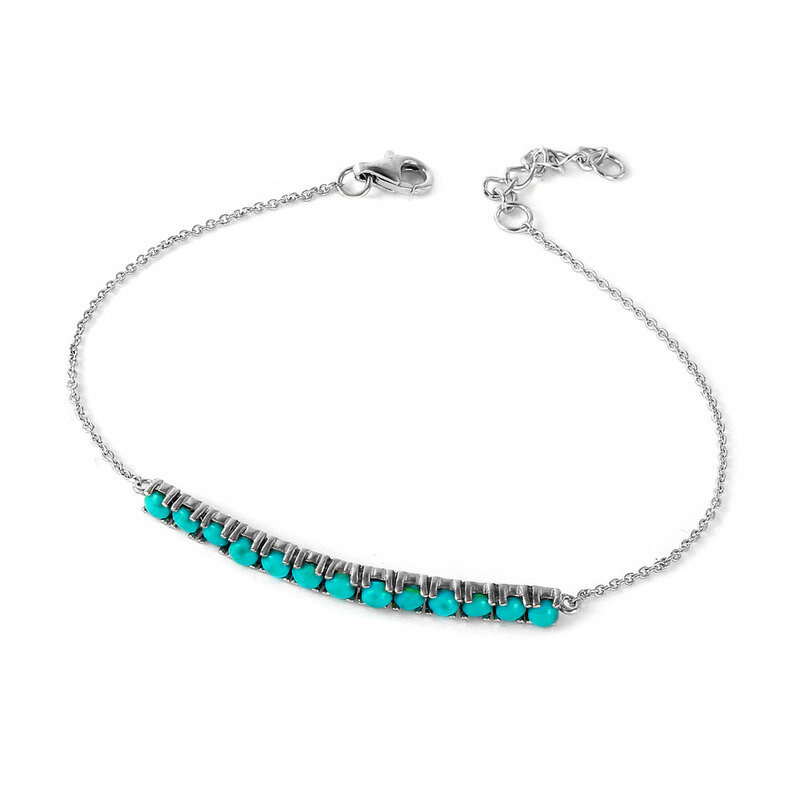 Rhodium will help to preserve the appearance of the sterling silver by minimizing tarnish and scratches. 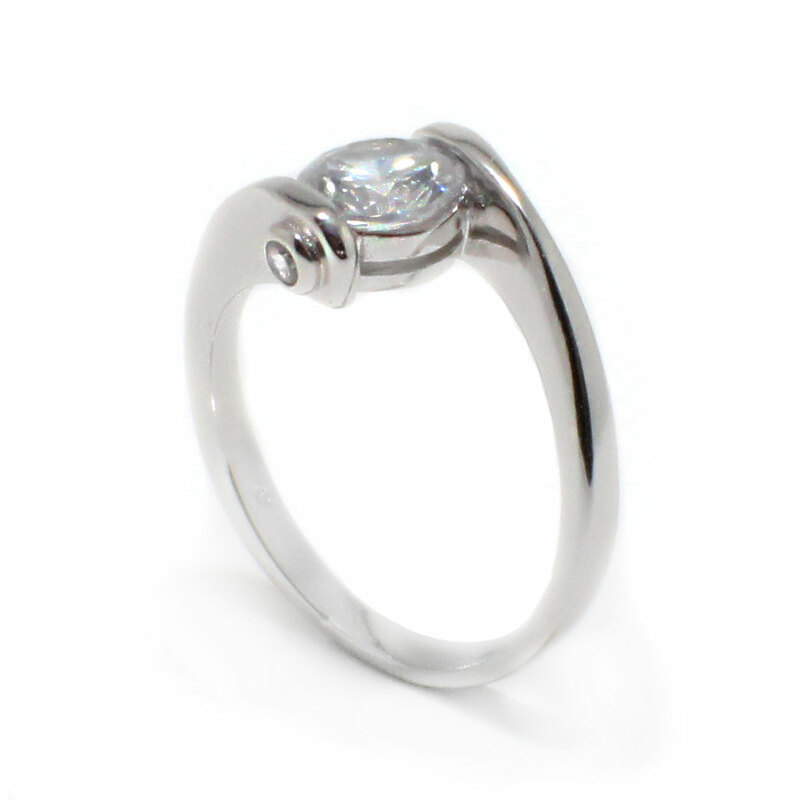 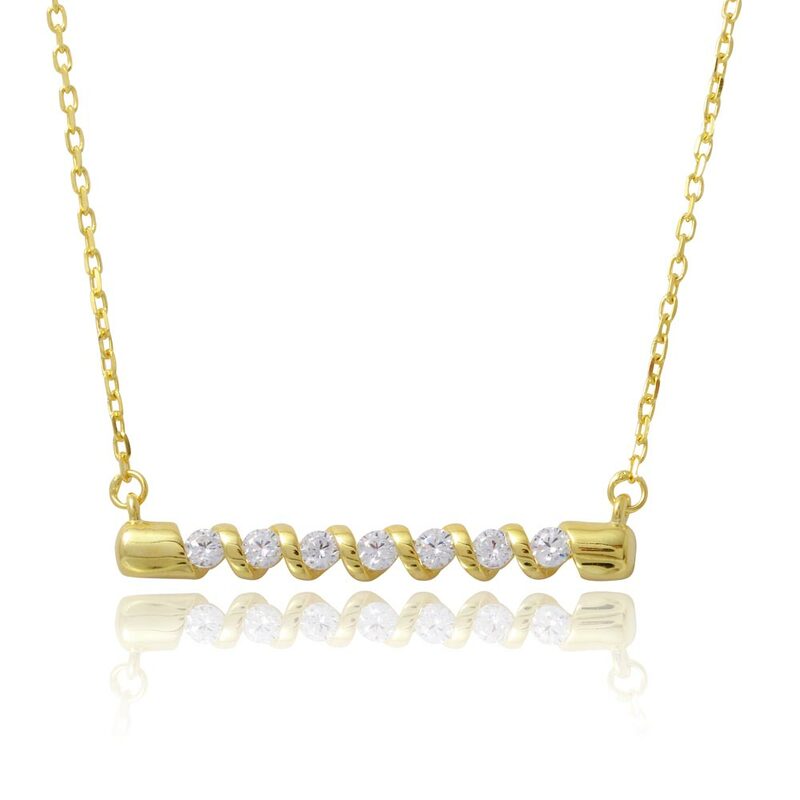 This rhodium plated finish will normally last a few years with regular wear before wearing off. 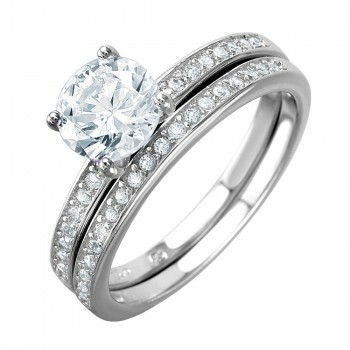 Whether worn single or stacked, sterling silver CZ engagement rings are beautiful.